Plenty of space for a large family in this one of a kind beachfront house sitting on two lots with 100 feet of beach frontage. 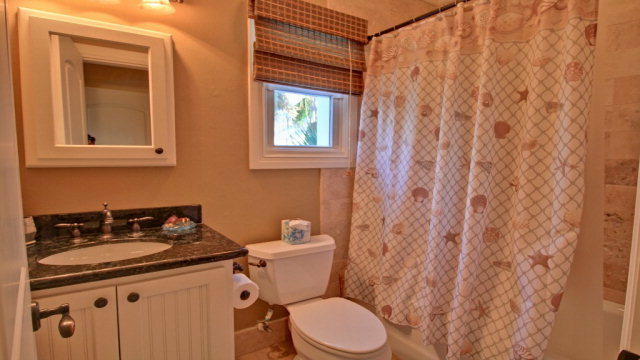 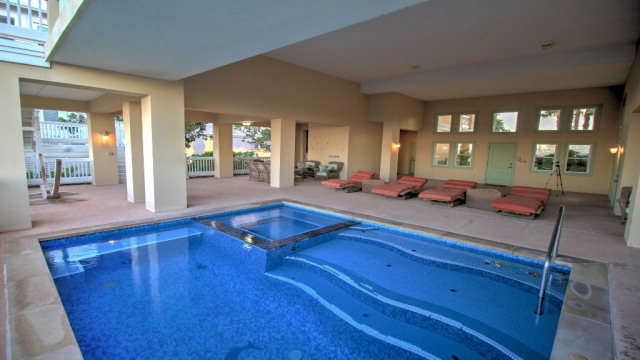 First floor features swimming pool, hot tub, shower with private bath, and outdoor kitchen area. 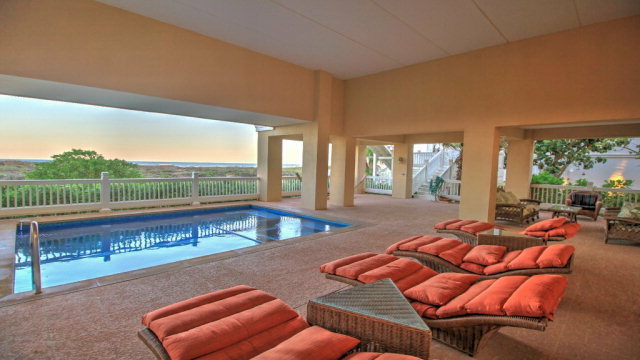 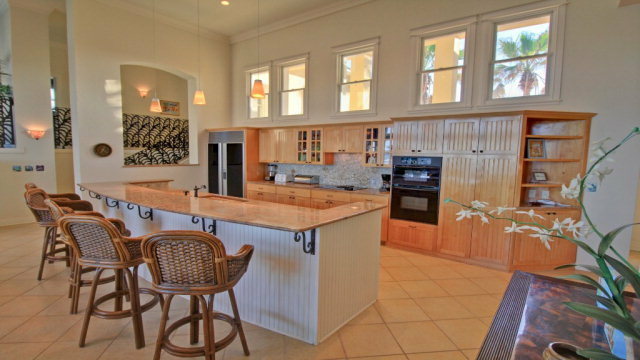 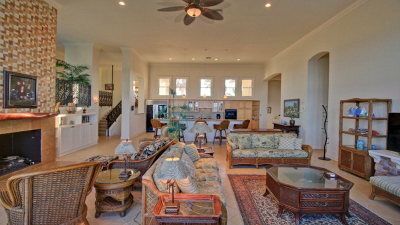 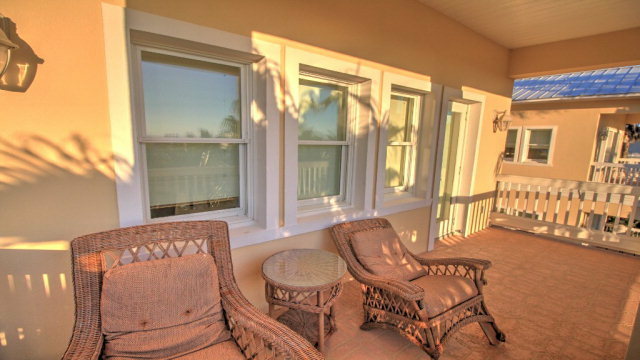 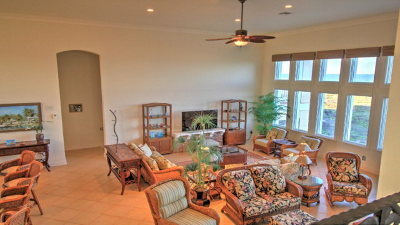 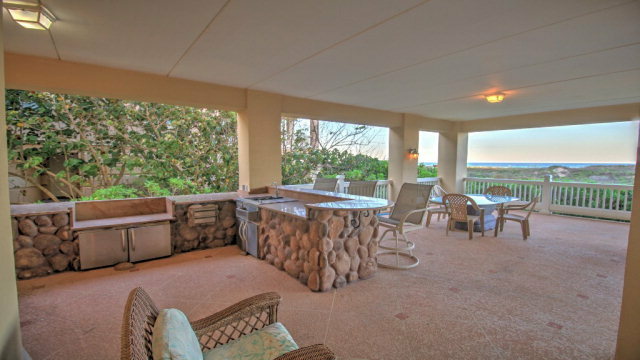 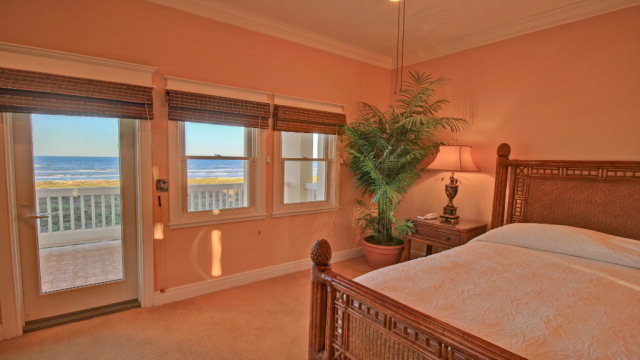 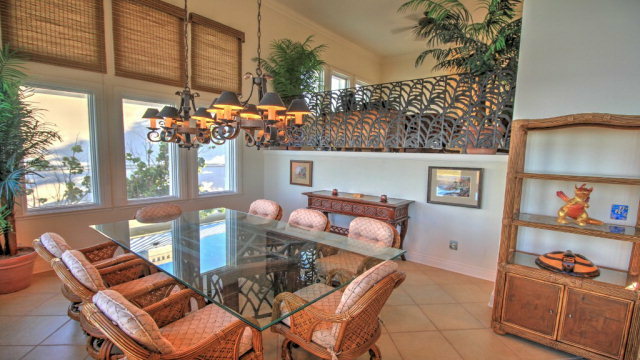 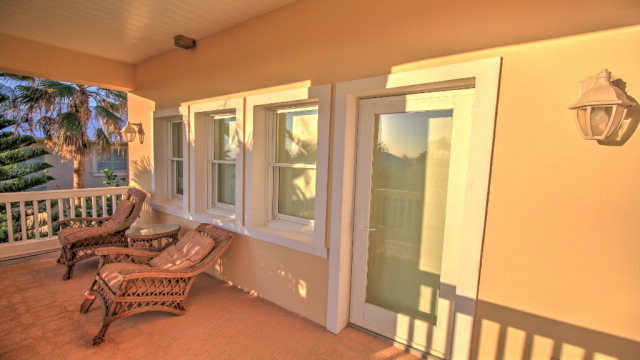 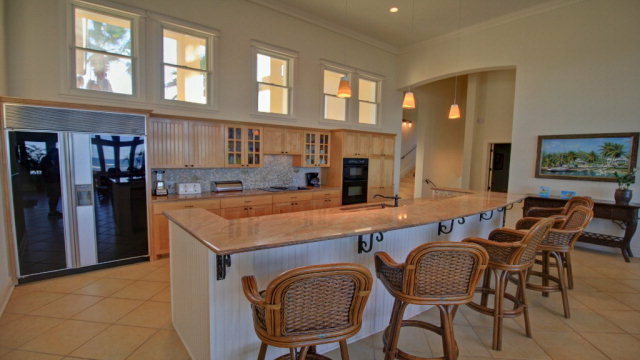 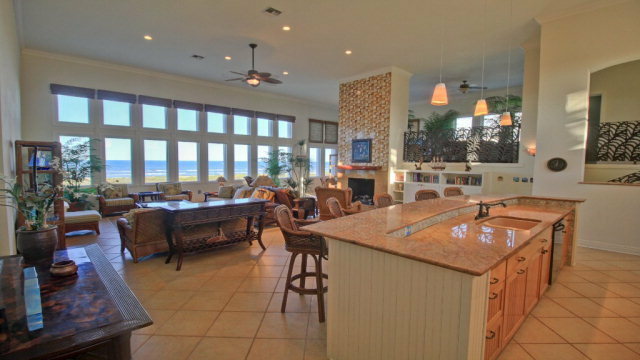 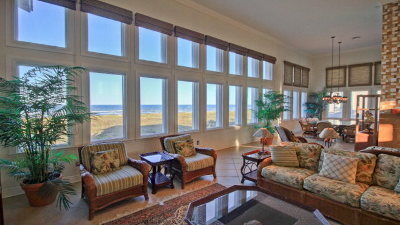 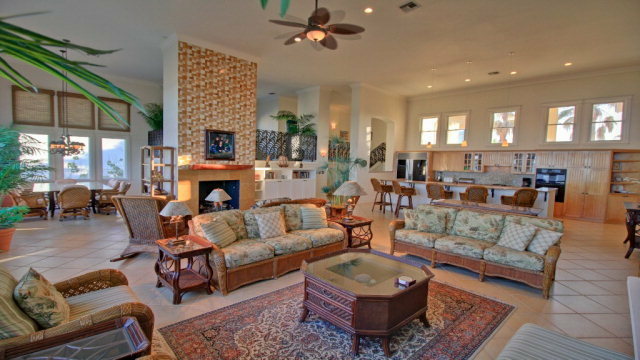 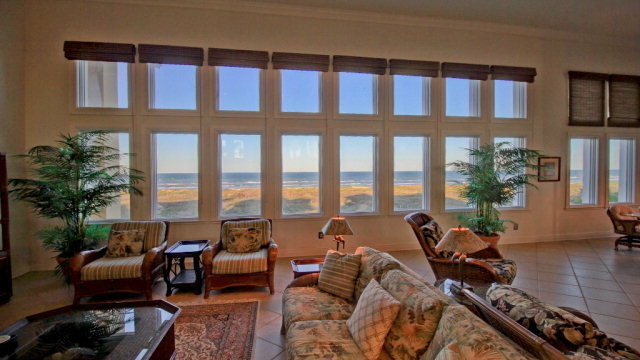 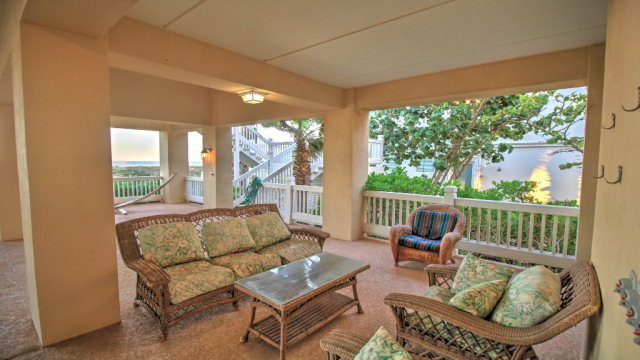 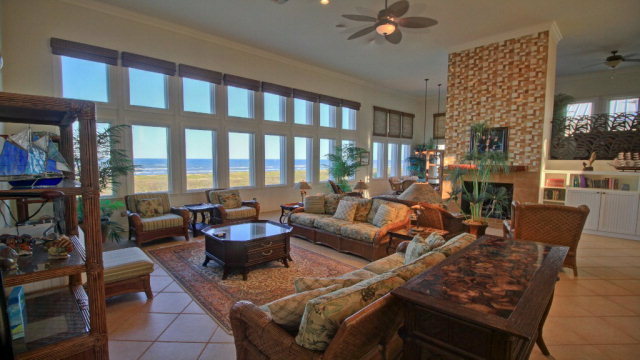 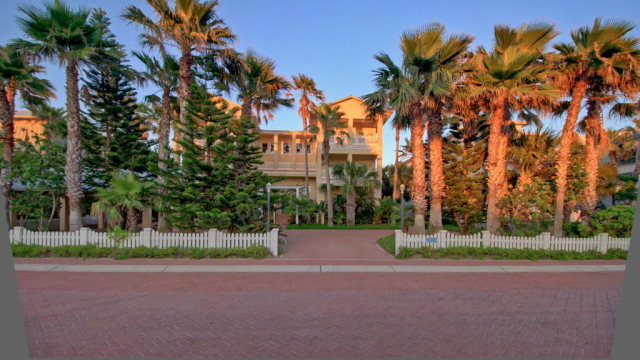 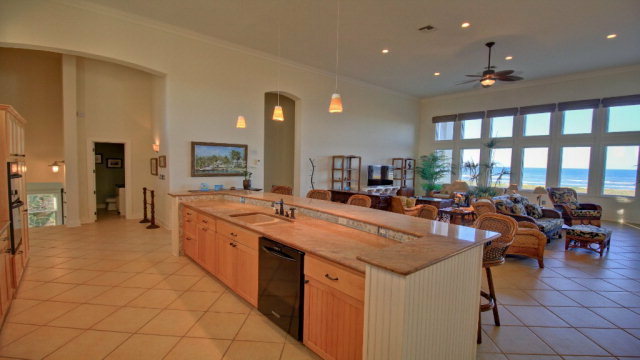 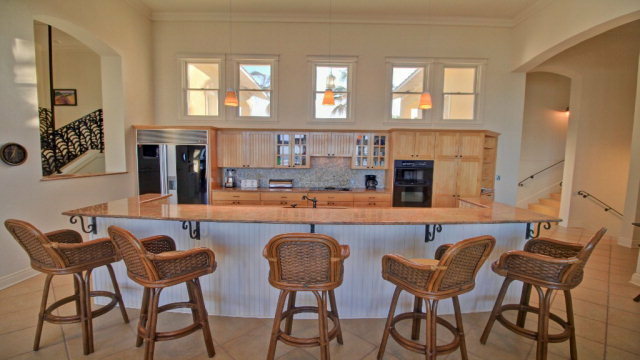 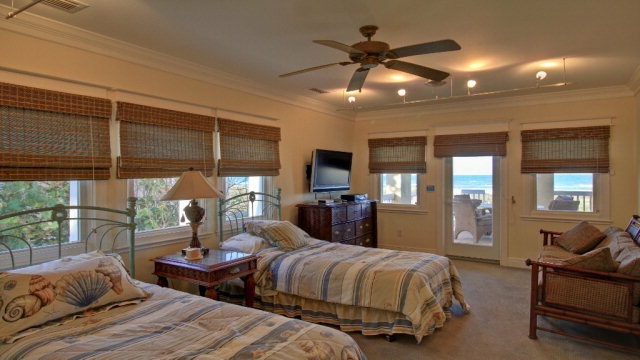 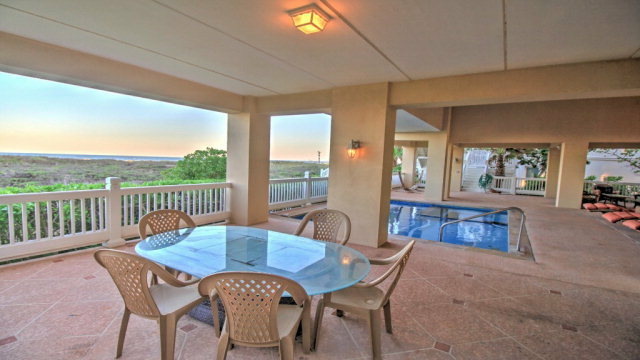 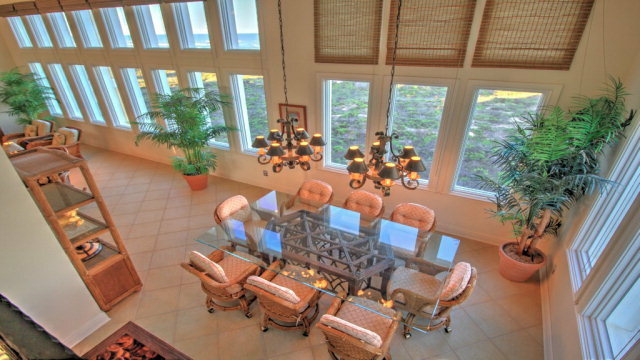 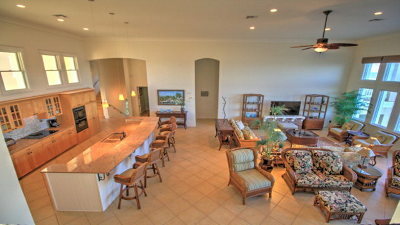 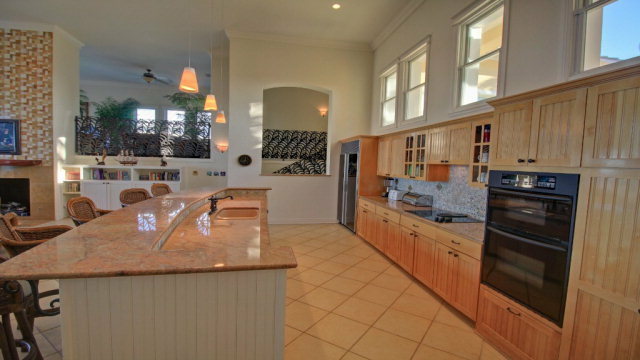 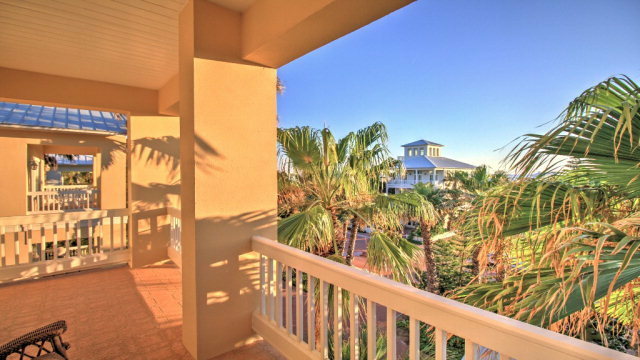 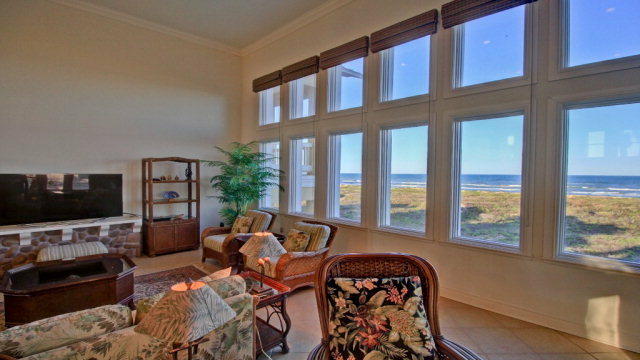 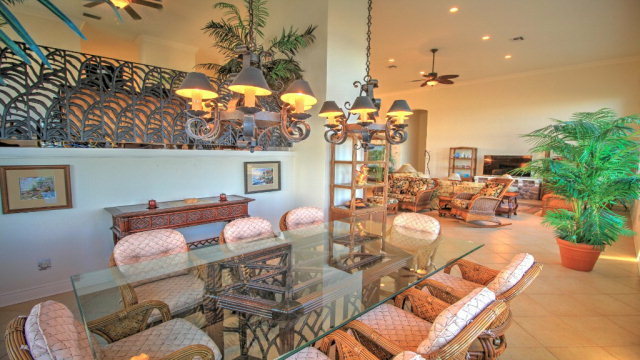 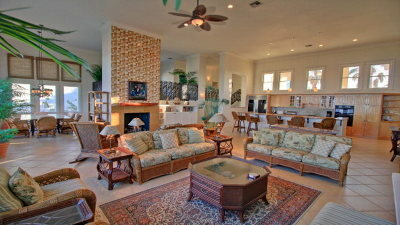 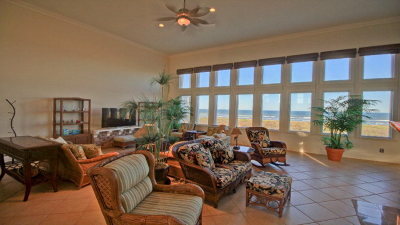 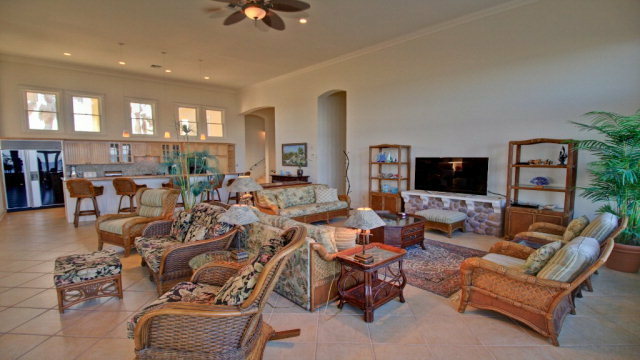 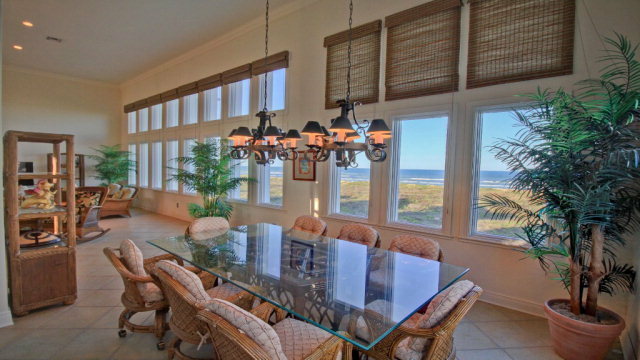 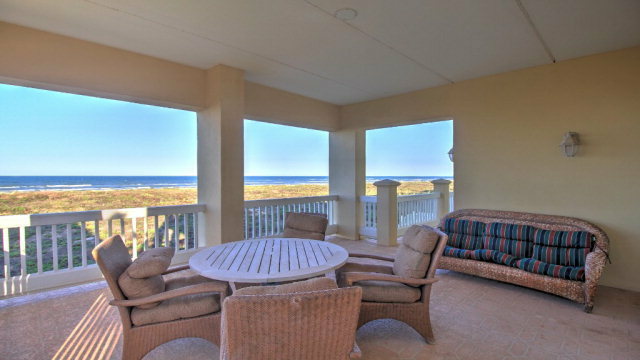 Second floor features open living, kitchen, and dining areas with sweeping views of the Gulf. 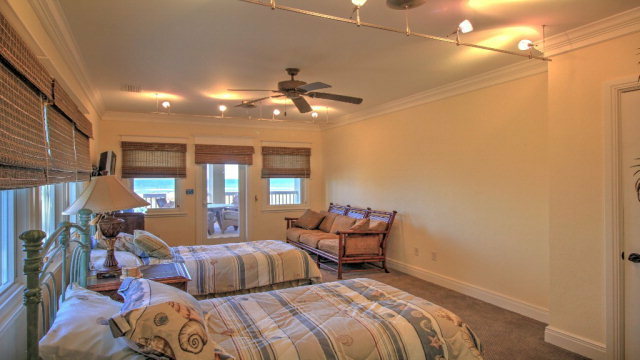 Plus, several bedrooms and full baths, game room, loft area, and half bath. 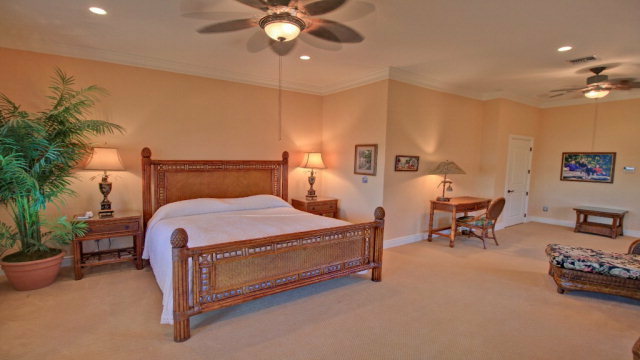 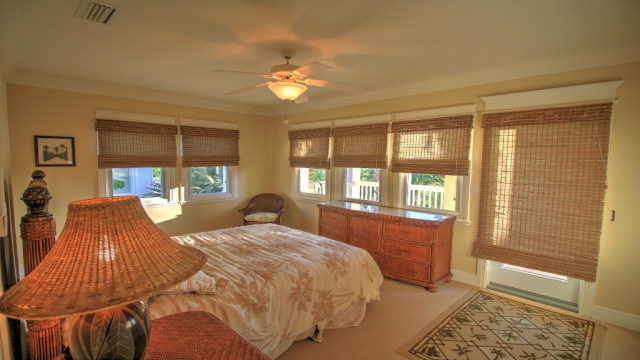 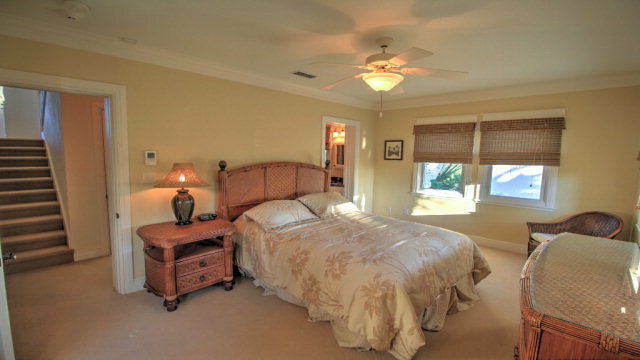 Third floor features private master bedroom and bath, additional bedrooms, and balconies. 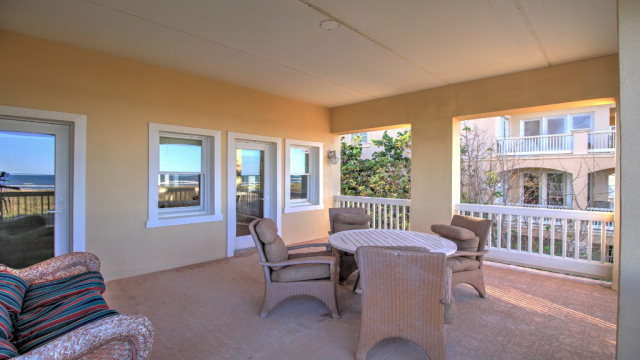 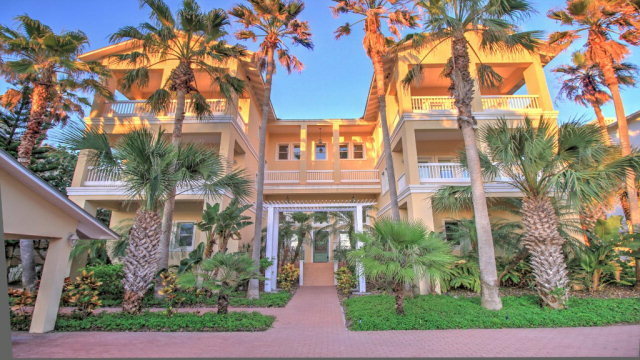 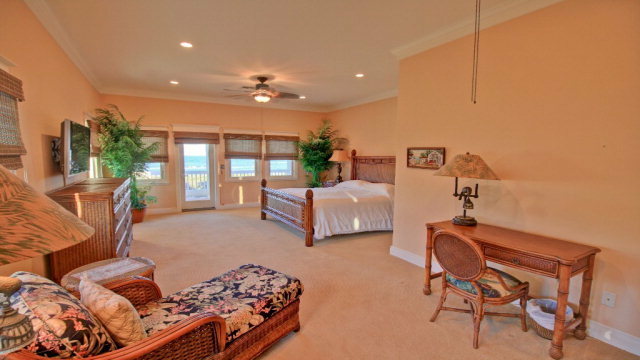 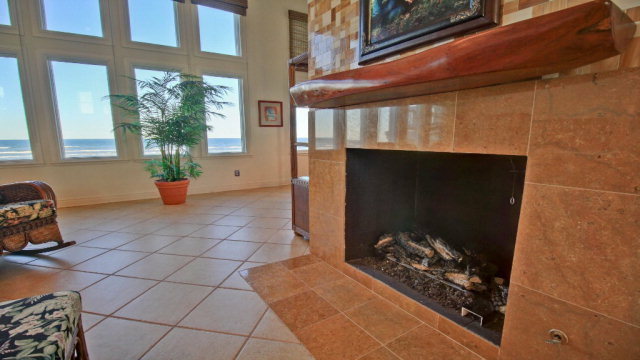 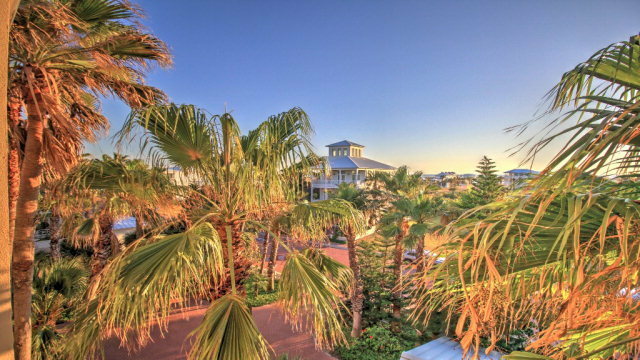 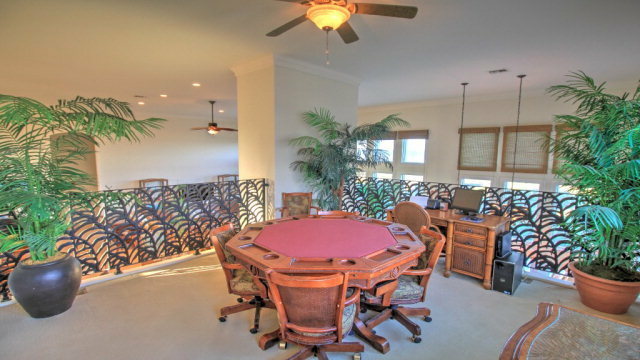 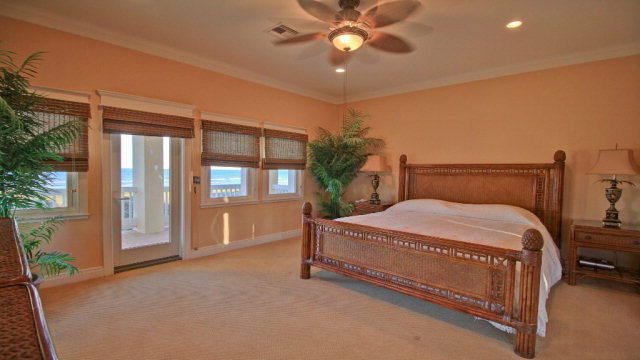 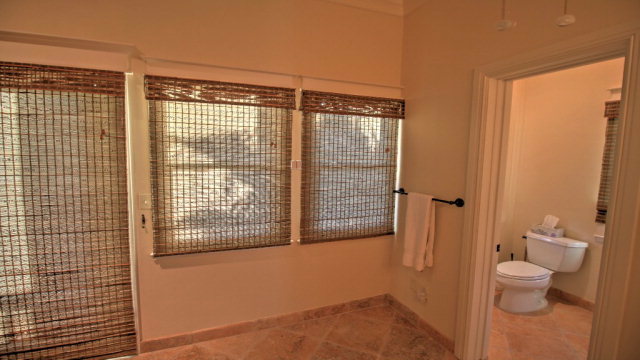 Several beach front and bayside balconies, private beach access, and detached 2 car garage. Courtesy of Franke Realty, Richard Franke Sr.